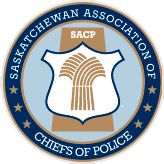 The Saskatchewan Association of Chiefs of Police (SACP) is dedicated to improving the safety of Saskatchewan residents. Our goal is to provide leadership in the policing community and to work closely with all levels of government on policing and public safety concerns. The site aims to give the public a one-stop location to find out about issues police are working on co-operatively. We invite you to explore the site now and return often, as we will be expanding in the future. Police agencies in Saskatchewan have jurisdiction over Missing Persons cases. For several years, all police services have been working together to share information on historical cases, which includes missing persons and cases of found human remains. This information is now being shared with the public in hopes of generating more tips to find missing persons. The Saskatchewan Crime Prevention Police Practitioners (S.C.P.P.P.) 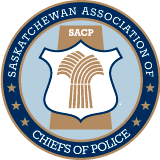 is a sub-committee of the Saskatchewan Association of Chiefs of Police (S.A.C.P.). This committee was formed in the year 2000 and was mandated by the S.A.C.P. to research and develop public education and awareness programs in the area of crime prevention to the citizens of Saskatchewan.